Im so pleased to have a website of my own to showcase fan fiction about my all-time favorite TV show, The X-Files. I became a fan of the show later than most. It wasnt until FX began running repeats of the show that I really paid it any attention. Our local Fox affiliate was pretty lame, and I was busy with work and raising a young child, so watching TV was pretty low on my list of priorities. After major back surgery, I was unable to work, and suddenly found that I had lots of time to watch TV shows that I had wanted to see. The X-Files caught my attention right away! I couldnt believe that I had wasted all those years without viewing the series one single time. I was really impressed with the subject matter and the relationship between Mulder and Scully. Of course, I didnt mind looking at that very handsome FBI agent,Fox Mulder either. By the time the new season was ready to air, I was hooked! Sunday nights at 9 PM found me glued to the television set. My family soon learned to leave me alone because I was too absorbed in the adventures of my two favorite agents to be bothered. As I became more familiar with the show, I realized that I liked the episodes where Mulder suffered physical trauma the best. I wouldnt admit it for fear that people would thing I was nuts. Imagine my surprise when I started surfing the web and found that I had plenty of company! 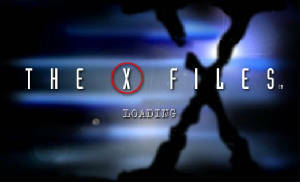 I discovered fan fiction and was able to get my X-Files fix whenever I wanted! After reading lots of fics at the old MTA site, one author stood out above all the rest. I decided to email her and let her know how pleased I was with her work. That was Vickie Moseley, and she promptly replied. I felt like I was communicating with a celebrity! As you know, Vickie can be very persuasive. Before I knew what hit me, I had written my first fic and discovered that I really enjoyed doing it! Vickie predicted that I would have my own website one day. I thought she was crazy, but once again she showed me her wisdom. So, here it is, Waddles Wonderful World of X-Files. I hope you enjoy! The new MT webring is now working . Go visit one of our other member sites.